With the increasing popularity of smartphones and tablets, more and more consumers are spending their time online using their mobile devices. In several trend reports, they estimated that 50 percent of website traffic would be coming from a mobile device in 2016. That said, it’s crucial that your site is well-optimized for mobile devices so your visitors will have a better user-experience. With that in mind, you need to have a responsive design to increase mobile usage and improve SEO. When your site has a responsive design, your users can quickly view it using a variety of sources. What is responsive design exactly? It’s built to scale your content. With this design, your site resizes and reformats to optimize user experience. This design is an upgrade from mobile websites because responsive design can reformat for future technologies. Plus, they require a one-coded website, rather than having mobile themes with sub-domains particular for mobile content. With this type of design, you can be sure that your site will still be functional and look beautiful for your customers today and in the future. Having this kind of design will also increase the results of your SEO campaign. Google likes responsive websites than having a mobile internet site. The reason for this is that it’s setup easier for its web crawlers to access your site. And as smartphones are getting smarter, users are no longer dependent on accessing the Internet through their desktop computer or laptop. When you promote your services and products via Twitter, Instagram, and Twitter, your mobile web traffic will improve. Google emphasized that the user’s experience is more important than ever. With a responsive design, your users can easily navigate your site. With estimates of having 50 percent web traffic this year through mobile devices, it’s vital the you don’t miss out on potential business opportunities. If you think that your customers can’t access your business, you must change it right now to become responsive. How to know if your site has a responsive design? The best way find out if you have a responsive design is to check-in with your web designer. Or you can use Google’s Mobile-Friendly tool to test it out yourself. There are also other platforms that can help you check your design if it’s indeed responsive. If your site turns out that it’s not a responsive layout, it’s time to shift to that end. 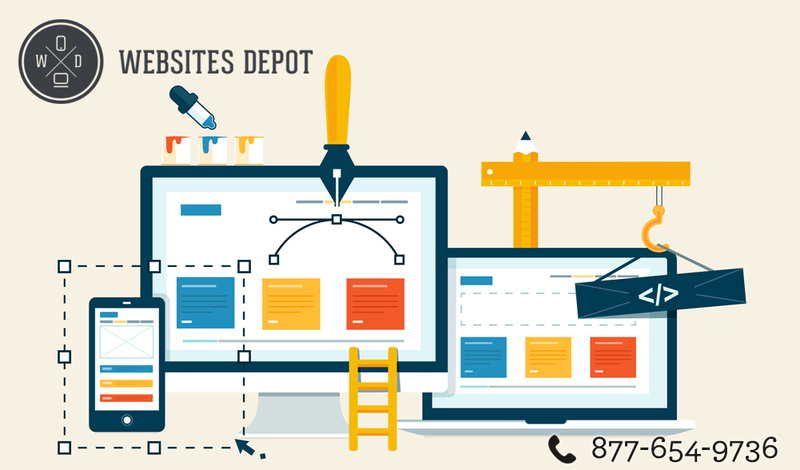 Consult your web developer to make your site responsive. If you ignore the benefits of responsive design, you’re only closing the doors of various mobile opportunities. Why You Need an Online Reputation Management?